Behind the Bit: Announcing: The BTB anniversary drawing! Announcing: The BTB anniversary drawing! 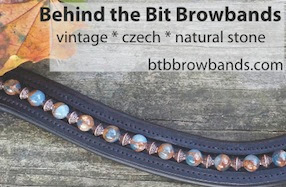 At the end of this month on Dec. 28, BTB will celebrate it's one year anniversary. 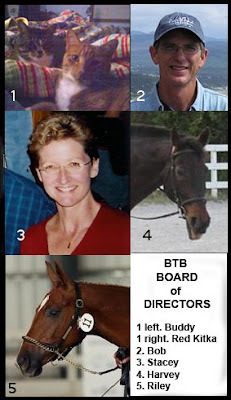 To commemorate our paper anniversary and to thank those who have read and supported this blog, the BTB Board of Directors (pictured left) has unanimously voted to do something nice for y'all. BTB is having a drawing for a $25 Dover Saddlery Gift Certificate (delivered via email) and three bags of Equus Magnificus treats. That's four winners, not one really lucky person. To enter the drawing: There is a fill-in form below. If you complete it and follow the instructions, you'll be entered in the drawing. The drawing will take place on the BTB anniversary, Dec. 28, 2008, and the winners announced Dec. 29. 3. Identify your favorite BTB article. 1. Post a comment to your favorite article (e.g., "This is my favorite BTB article"). 2. If you signed in anonymously, give your name or initials or something (e.g., Judy M) for verification purposes. Once you've done this, you're entered. Good luck! Entries close December 28 and the winner will be announced December 29. Thanks! Congratulations and thanks for the giveaway! The horse blogosphere is much richer for having you here. I just found you! Congrats and Happy Anniversary! I'm really not eligible for any contests but I'm glad to see the darlings of my past have made it to the Internet! I miss them. Glad I found you. I subscribed. Harvey is not a good traveller in general, but he welcomes visitors, esp. those with treats!